Sativa-dominant White Buffalo is a cross between Romulan and Blackberry Kush/Bay 11. 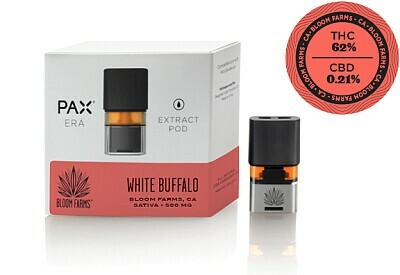 While it is known to relieve stress and depression, the THC content of White Buffalo makes it especially beneficial for cerebral pursuits by boosting energy, stimulating creativity and encouraging an uplifting, euphoric state. The flavor is generally described as spicy and sour.